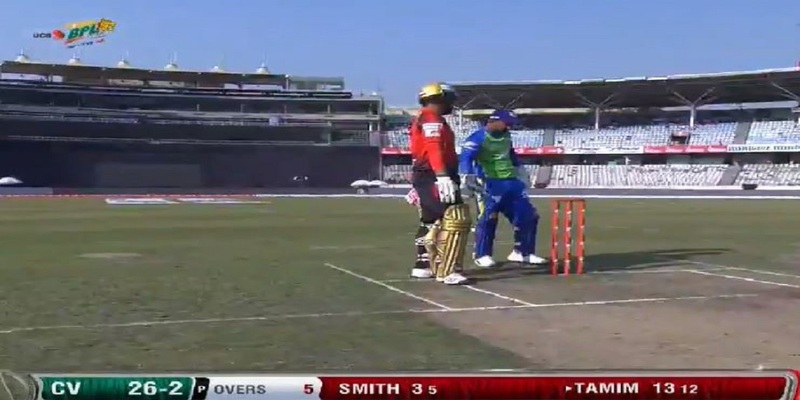 Our most known two of Bangladesh premier league 2019 (BPL 2019) Comilla Victorians and Sylhet Sixers are at the Shere Bangla National Stadium in Mirpur, Dhaka. It will be the first game of the day and after that Khulna, Titans will face Rangpur Riders. If you are looking for BPL T20 2019 to watch the live online stream and want to know the telecast details in India or Bangladesh then see below for all the relatable information. The BPL 2019 complete Squads: All players list of Bangladesh Premier League T20. David Warner is playing by the side of Sylhet Sixers it will be harder if he plays well. Warner is currently facing suspension for the ball-tampering scandal and it will be in action. there are many strong players in Sylhet Sixers like Nasir Hossain, Sabbir Rahman, Liton Das(w), Sohail Tanvir and Nicholas. Comilla Victorians Squad – 3rd Match BPL T20 2019: Shahid Afridi, Mohammad Saifuddin, Abu Hider Rony, Mohammad Shahid, Evin Lewis, Tamim Iqbal, Anamul Haque (wk), Steven Smith (c), Imrul Kayes, Mahedi Hasan, Shoaib Malik. Sylhet Sixers Squad – 3rd Match BPL T20 2019: David Warner (c), Liton Das (wk), Sandeep Lamichhane, Mohammad Irfan, Al-Amin Hossain, Taskin Ahmed, Towhid Hridoy, Nicholas Pooran, Sabbir Rahman, Afif Hossain, Alok Kapali.